Management of the company is the team of professionals, recognized leaders, dealing with high technologies, which possess wealth of experience in administrative and scientific-research activity. Management of the company developed effective methods and ways how to summarize experience of the separate employees, groups of specialists and experience, resulted from successful completion of the projects. Total knowledge becomes the common property of the company and is used in the future projects for the solution of the most complicated tasks of our Customers. 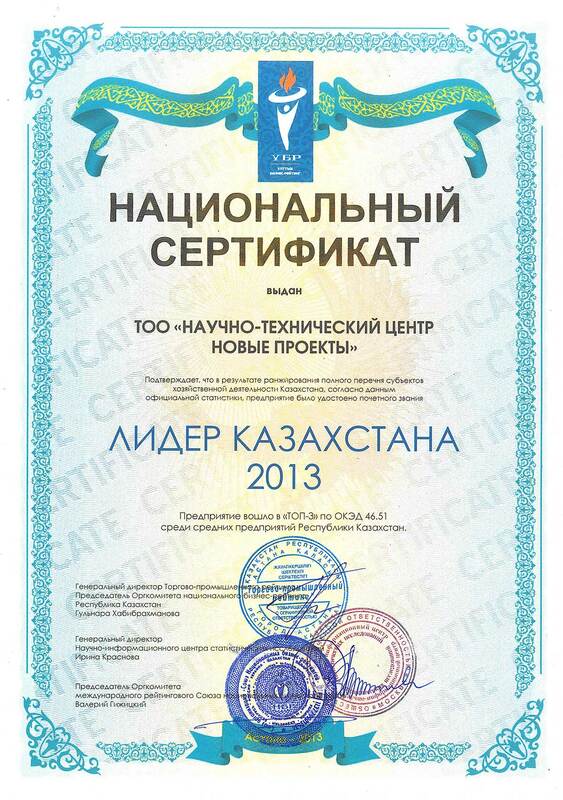 beginning with 2010 - Subsidiary director of NTC NP Ltd in Astana city. since 2011 – deputy director of administration issues NTC NP Ltd.
since 2011 - NTC NP Ltd head of department of design project solutions. head of building and assembling works department Myatovich Yuri Alexandrovich Kharkov Aviation Institute was named after N.E.Zhukovskii,” since 1988 on factories producing communications electronics equipment special purpose, engineer position. since 1993 in different commercial-industrial enterprises of decision-making position. since 2008 – NTC NP Ltd, vice director of manufacture, head of manufactory department for west and east regions. since 2011 – NTC NP Ltd head of department of building and assembling works. С 2011 года – NTC NP Ltd, head of logistic support department.